In 2001 Karen and Pete Royall set up Wandering Aengus Treks, offering high quality walking holidays in the UK. Our aim is simple: to provide quality walking holidays to those who love mountains and places of natural beauty. For our self-guided options we offer a personal service, comprehensive information pack, secure baggage transfer, and we take exceptional care in the choice of accommodation, to ensure you have the best experience possible. We have established a range of self-guided Lake District walking tours, as well as easy-to-book walking holidays on the major popular Long Distance Paths (LDPs) of Northern England. We are also keen walking route developers so as well as the classics, we have one or two gems you won't find anywhere else! We don't offer hundreds of itineraries from Lands End to John O' Groats, but our self-guided holidays are well researched, covering ground we walk ourselves and we pride ourselves on our good relationships with our local partners, whether that be your host on a long distance route, the person picking you up from the railway station, or the driver who delivers your luggage. With us you can relax knowing everything will be taken care of personally. You can learn more about Karen and Pete by scrolling to the bottom of this page. Wandering Aengus Treks also provide guiding services, particularly in the Lake District using qualified ML or IML leaders. Over the past 18 years we have provided services to schools, walking clubs and team-building groups from the public and private sector. 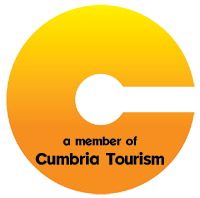 In addition to our own assurance of high quality holidays, proven over 18 years (please read our reviews), we are long standing members of the Cumbria Tourist Board. We take your financial security very seriously. Online payments with cerdit or debit cards are made through the secure financial portal of PayPal. Wandering Aengus Treks are fully compliant with the 'Package Travel and Linked Travel Arrangements Regulations 2018'. In accordance with these regulations, all monies paid to Wandering Aengus Treks are held in trust by an independent authority until the completion of your holiday. Details of the reguations and our trustees are provided with your booking confirmation. In the highly unlikely event of our insolvency or failure to complete the contact, getting your money back is a simple one step process. When you book on a Wandering Aengus Treks holiday you will be asked to pay a deposit of £150 per person. This deposit is used to secure your accommodation and is non-refundable if you subsequently have to cancel your holiday (for example on medical grounds). We strongly recommend that you take out suitable holiday insurance to cover this eventuality. Pete Royall was born and raised on Walney Island in Cumbria. By the age of fourteen he was spending most of his weekends exploring the mountains and valleys of the Lake District National Park, before travelling further afield to the Alps and the Greater Ranges. Between 1992 and 2001, Pete made his living from leading treks and expeditions to the Himalaya, Karakoram and the South American Andes, working for Britain's premier real adventure travel company, KE Adventure Travel. Since 2001 Pete has been settled in the Lake District and can reach the 2000 foot contour in 20 minutes of his back door. Pete’s passion for the mountains and especially the English Lake District, remains undiminished. Karen is our organising genius. Prior to setting up Wandering Aengus with Pete she had a successful career as an Executive P.A. in the City of London. Karen's love of wild places and of the natural world goes back to childhood excursions to North Wales and now extends to far flung places having trekked and climbed in the French and Swiss Alps, the India and Nepal Himalaya, and in Pakistan's formidable Karakoram Mountains under the shadow of K2. 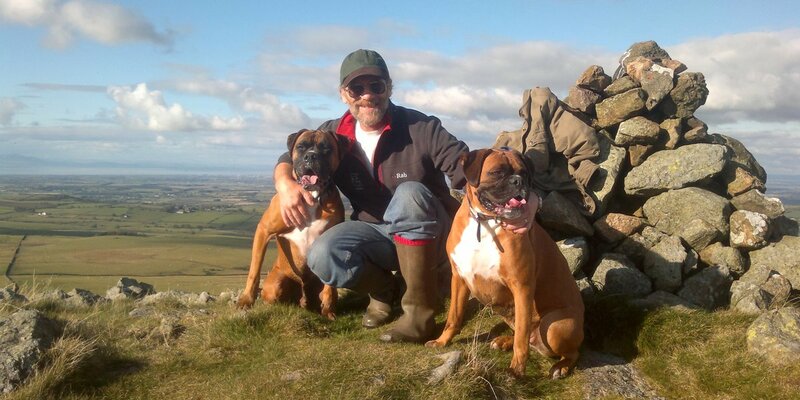 In her adopted home of the Lake District, Karen is a keen fell walker and scrambler. It is Karen's commitment to providing the very best for her clients that is the defining principle of our company.